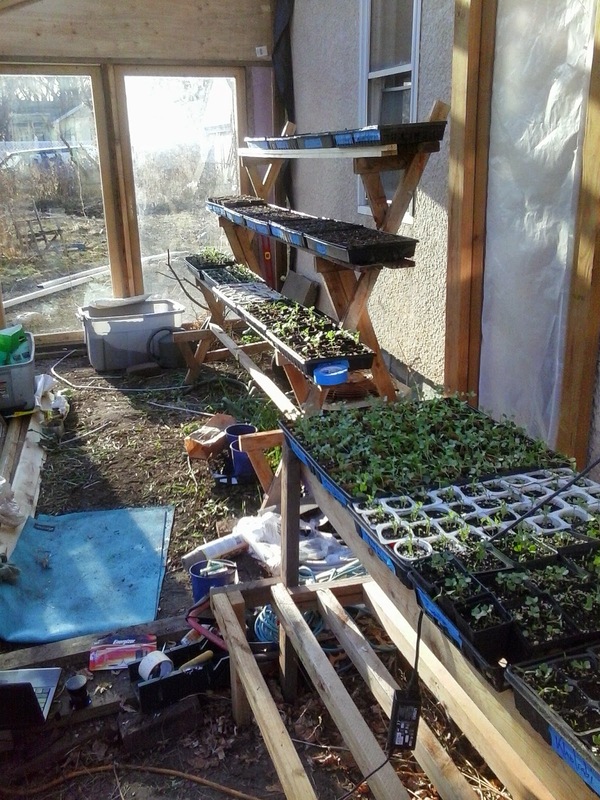 My greenhouse, work in progress. 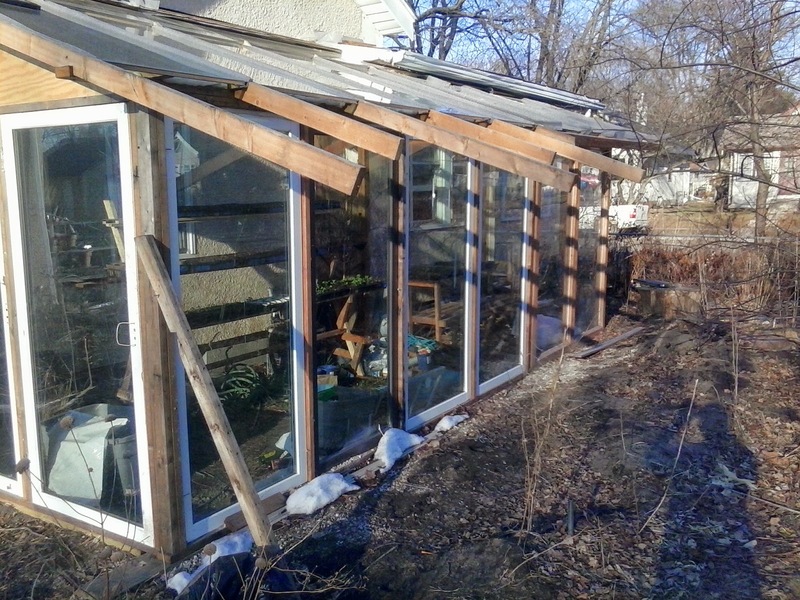 Constructed mostly out of second-hand sliding glass doors, and old-growth douglas fir I pulled out of a house on Lake of the Isles during the housing bubble. Eventually, fish tanks and greens year-round. 40 degrees outside and sunny yesterday, I opened the windows to the house and the house stayed @ 69 with the thermostat set to 65. I was in a t-shirt and jeans sweating, starting the tomatoes and peppers and herbs, singing like a thrush, people walking by on the sidewalk all bundled up. 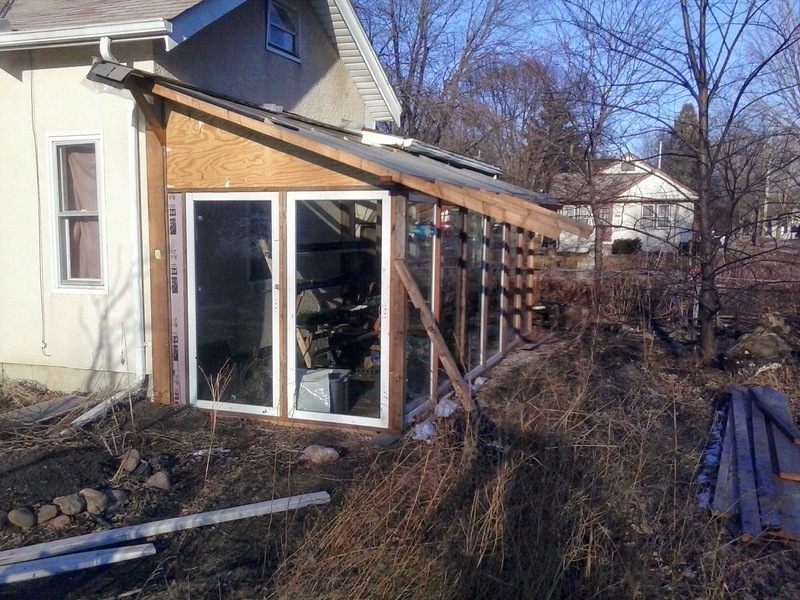 The city of Minneapolis is calling it an illegal addition. Also, a few thoughts on my recent vacation in Oregon: I loved it, the state is beautiful, and I met a lot of great people; Minnesota on return feels like a frozen stick in the mud; the Oregon forest however seems to be logged according to the same corporate efficiencies that have ruined farming in the Midwest, the vast majority of the forest perpetually immature, not older than 30 years - but where are all the jobs? Many of the coastal towns that used to thrive on logging, are barely hanging on with tourism, and yet the forest seems logged more aggressively than ever. Where is all that money going? The usual places - up the totem pole so to speak. America doesn't own the land of America anymore, Big (multinational) Ag does. So much of Oregon is so very green. I met a man there, raising search-and-rescue bloodhounds, building a kind of wilderness retreat for "troubled" youth. He has applied for grants; if successful, he said he would hire me, I could become like Tom Bombadil, build a Shire. LOL, skipping through the forest, singing, making magic. 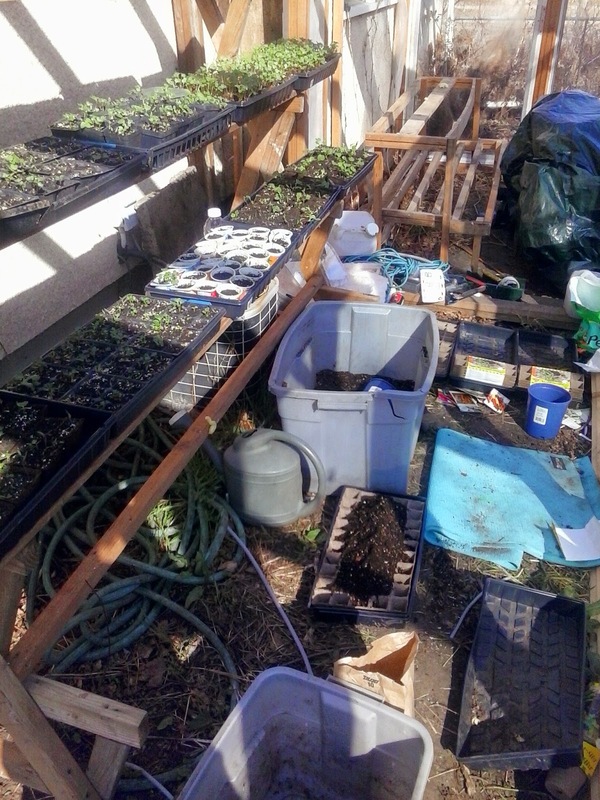 Growing food year-round. Gathering truffles and assorted fungi, berries. I could gather blackberries for a month out there and ferment enough to sell. Building yurts and greenhouses. I would be very inclined to relocate, especially if my love decides to stay there, as she seems inclined to :( The difficulty is this house, and garden, which to date no one has offered to buy (and I don't know that I'm willing to sell), except to bulldoze the lot and the greenhouse and all the fruit trees and gardens, and build a mcmansion. I might rent it too, but it would need a lot of work to prepare it, and city governance and the mortgage would make renting otherwise difficult. A day rental? But I would have to pay people to maintain it. My love might decide to go overseas, too, in which case I would not have my Goldberry to follow to Oregon.